Our 4 Stage Reverse Osmosis Drinking Water System is for those who want just a little more filtration than the 3 Stage system. Typically used on well water systems and municipal water supplies that might need a little more filtration than other water systems. We also carry systems that have certifications to reduce many chemicals including chromium. With more than thirty years of experience with service and installation we have access to a large selection of brands and manufacturers. 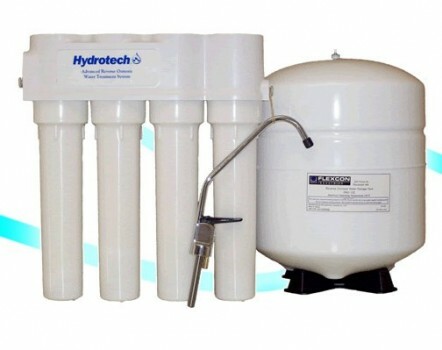 This system uses high quality filters that normally only need changing every 12 months. We have a FREE service reminder program for all of our customers.